We have a new vehicle in our Quirky Group fleet, a 200 sq ft Airstream that is now available for hire. With its stunning exterior and interior, the vehicle will help you make a real statement. 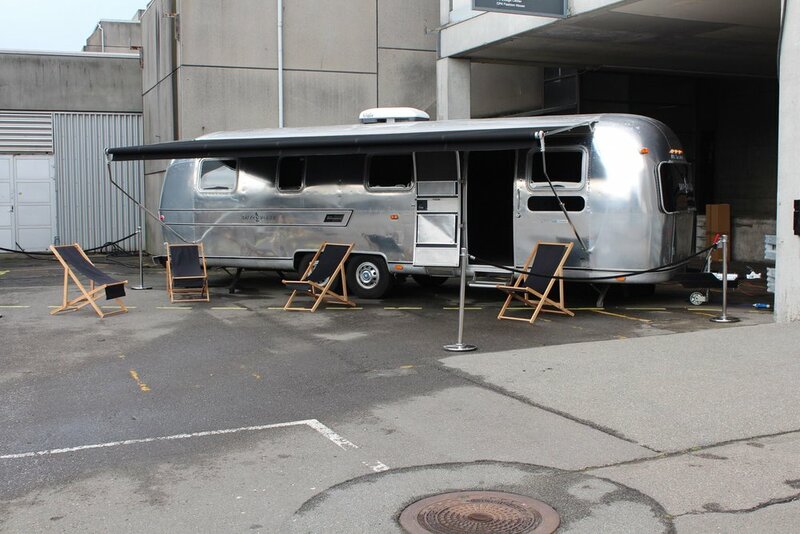 An Airstream is the perfect unit for corporate parties or events, as a pop up retail space, a VIP area, or for a brand activation and marketing campaign. It can give you the extra edge to make any event extraordinary. With its versatility, the Airstream can equally act as a prop, studio or high-spec temporary office, and is particularly suited to the film or creative industries. The exterior includes a large awning, making this a very flexible space. The deluxe design contains premium furniture, including leather sofas, wooden tables and a plasma screen. The furniture is also largely removable. The interior can fit 20-25 people, so it’s perfect for a posh party or as a brand space. You can hire the Airstream as it is, or in tandem with one of our Quirky Bars. We can arrange for the delivery and collection of the vehicle - we just need a place to park it. Branding: We can add signage to the vehicle to attract and excite your potential customers. Logistics and Staffing: As event professionals, we can help you with all the necessary logistics, and supply you with staff members or our Brand Ambassadors.